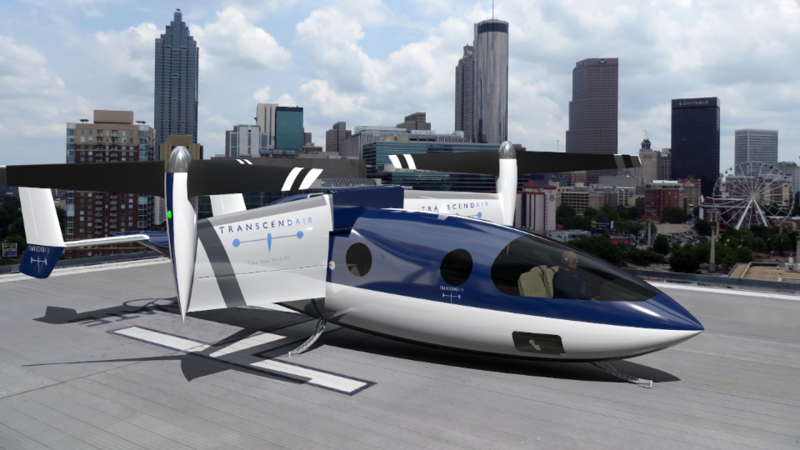 Transcend Air has announced its plans for its air taxi service to launch in 2024. It’s not the first VTOL company to announce a date for service launch, with Uber committed to three cities by 2023 and Lilium committed to a 2025 launch. But Transcend Air is one of the first to offer a ‘business class’ style VTOL. 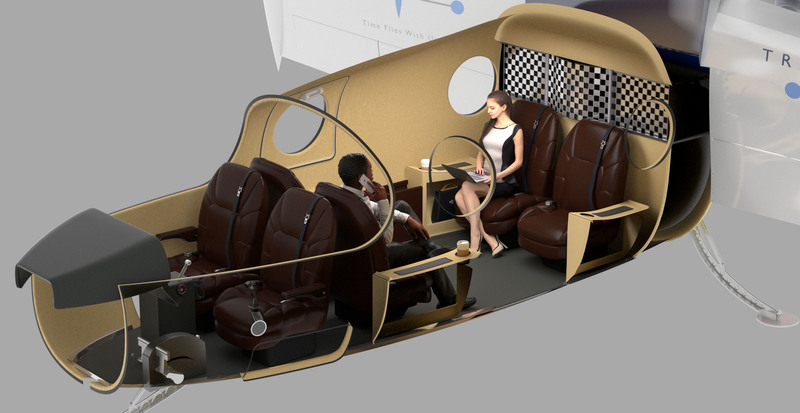 The interior of the eVTOL is luxurious to say the least, with large cushy seats that face backward as in a business helicopter rather than in rows as in a commercial airplane or other eVTOLs. Named the Vy 400, the aircraft is designed for somewhat longer inter-city travel with a range of 450 miles and private-jet level speeds of up to 405mph. It features a complete fly by wire control system. The initial three routes the company plans to offer are NYC to Boston, LA to San Francisco and Montréal to Toronto for prices between $280 and $330. In addition to its 2024 air taxi service launch, Transcend Air also plans to open its pre-order book in late 2020 for those who wish to buy the aircraft. The Vy 400 should be priced at around $3.5 million according to Transcend Air’s website. The company has iterated 15 prototype VTOL models, and claims that its aircraft is ready to build owing to its quick-to-market strategy of integrating proven technologies already on the market. Despite this, the company guarantees complete safety with a full-aircraft parachute. The Transcend Air team consists of CEO Gregory Bruell, who co-founded Elytron Aircraft, invested in Martin Jetpack and was CTO at Silverback Technologies. Other executive members include COO Peter H. Schmidt – President and Founder of Linear Air, and Richard L. Gersh who led risk management and regulatory engagement for Terrafugia. 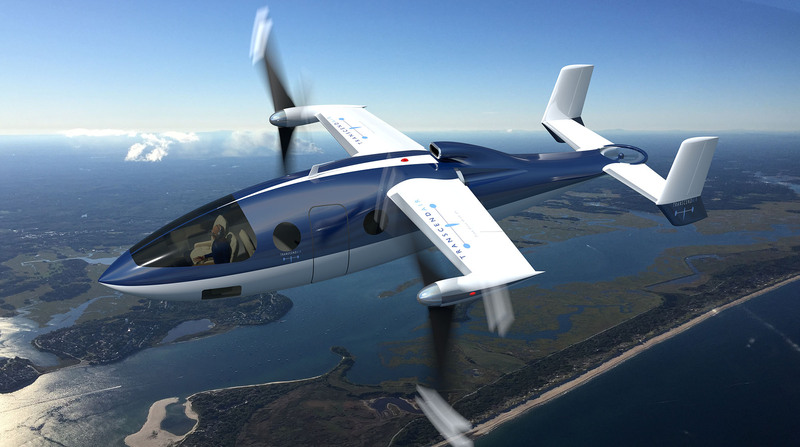 Why it’s important: As the VTOL flying car industry develops, it will begin to segment, which is what we are seeing here with Transcend Air. While many air taxi services seek to offset the traffic problem for the general public, Transcend Air approaches the ‘business class’ frequent flyer sector of the market. Their solution aims to solve the problem of private jets: they are too expensive and are not point to point. The development of Transcend Air exemplifies that air taxi services will be used in many different ways, and represents another new branch of the growing industry.